It's finally Friday and the end of a busy week! Time for Five for Friday with Doodle Bugs Teaching! 1. Last Friday night was girls' night out with my Sunday school class. After dinner, we went to The Candy Store and got the kids some treats. I got Zack some Harry Potter Bertie Bott's Flavored Beans. 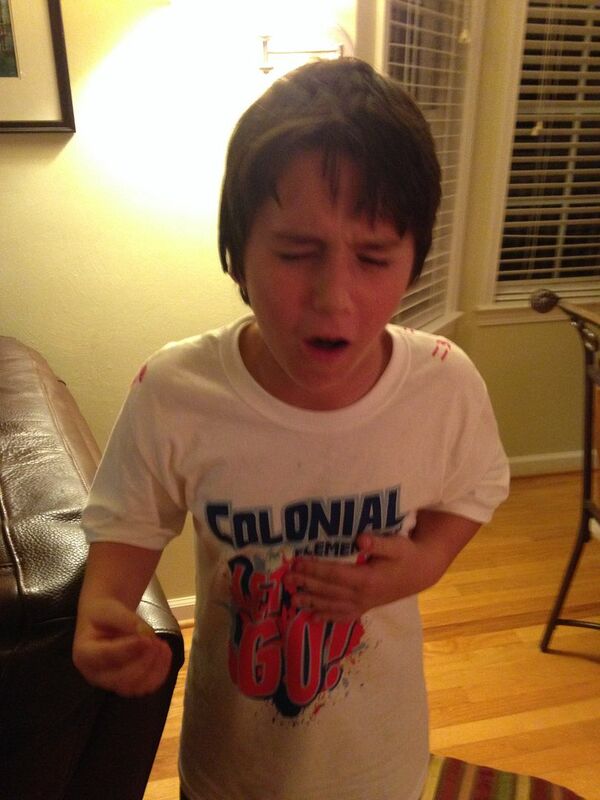 He tried the vomit one, and here is his reaction! 2. 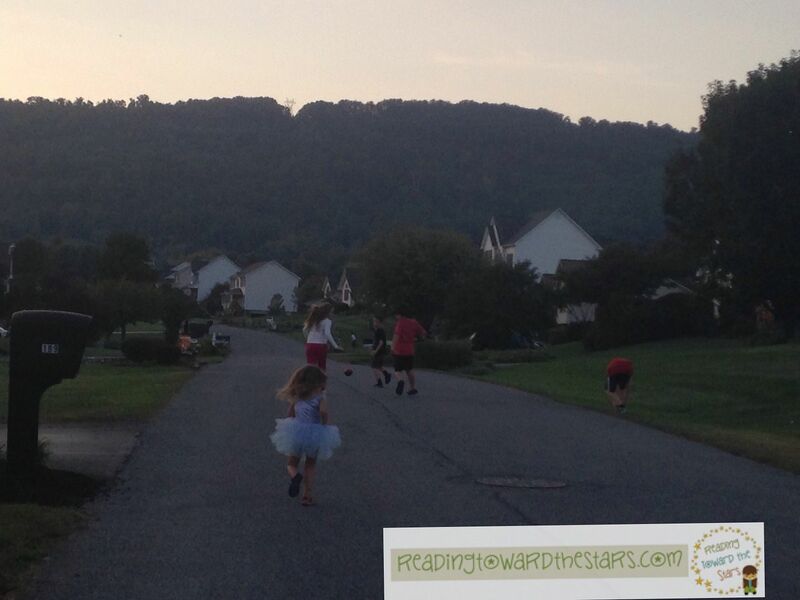 We went walking this week, and Zack and his friends entertained themselves by throwing a ball back and forth for a mile and a half. Ginny Beth made it an entire mile before falling out. Thank goodness I had the stroller! 3. 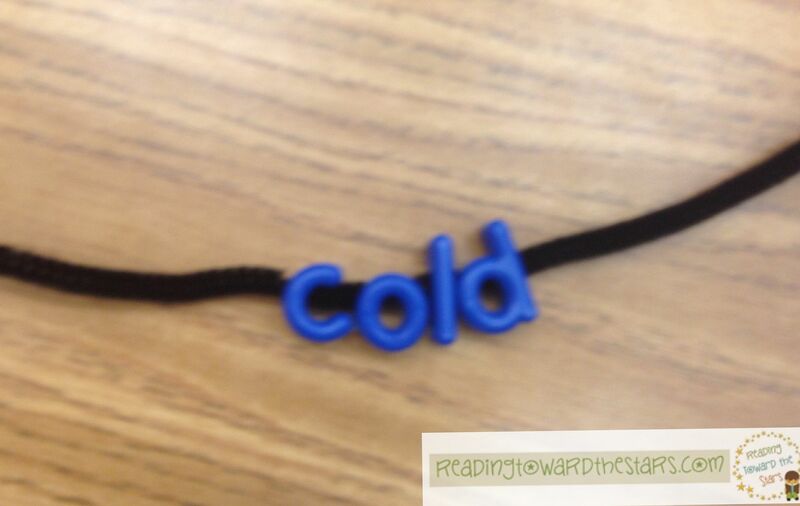 I have a group of third graders who only need help with spelling, so we work each week with their spelling features in my room. 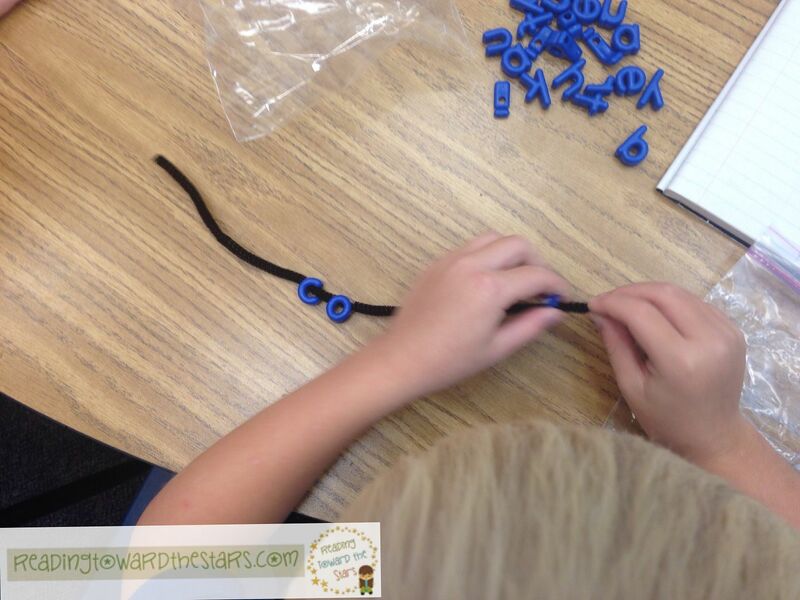 Wednesday is their fun day, so we used beads to build their words. 4. I tell everyone that I don't work on Fridays; I play! 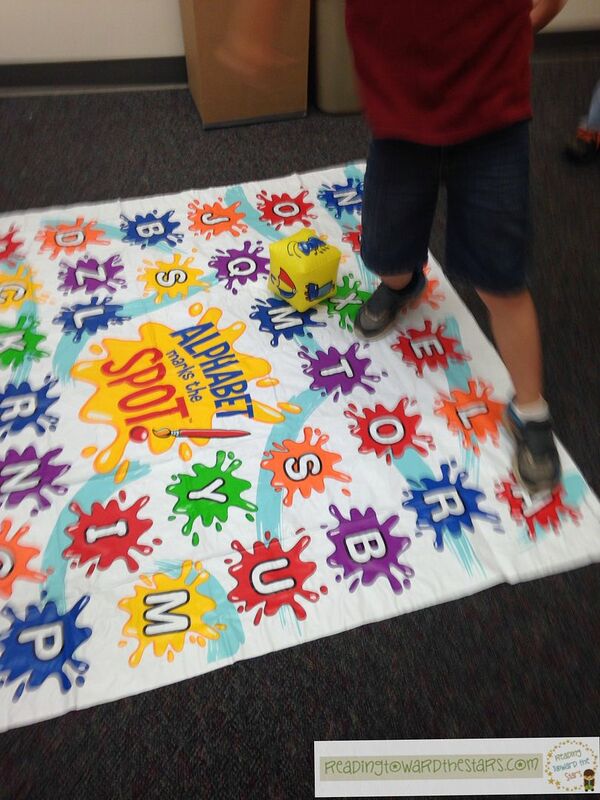 Today was "Fun Friday" in the Reading Center and fun it was! 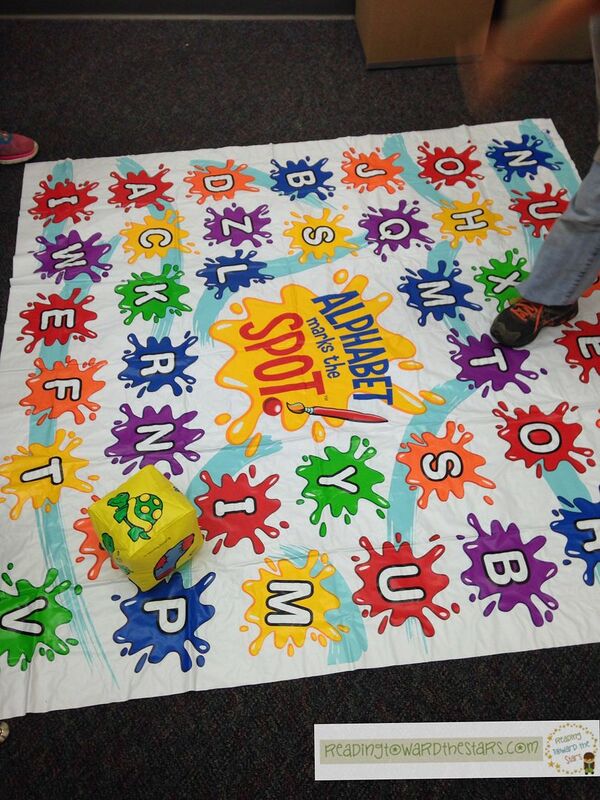 My firsties had fun playing this game of Alphabet Marks the Spot. They still need a LOT of work on those beginning sounds! Yikes! 5. Have you been through the Harvest of Reading Freebies hop yet? If not, you need to go through it! There are some awesome freebies! Start by clicking on the picture below to get started!